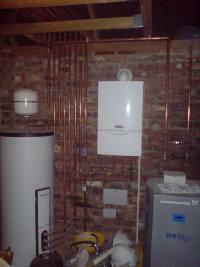 Gem Heating Services are Gas Safe registered heating engineers who supply and install gas boilers. 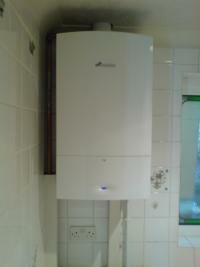 For similar replacement boiler companies in this area please visit the Croydon boiler page. With over 25 years experience in the Domestic Gas industry servicing, repairing and installing all types of gas appliances "Gem Heating services" offers you great competitive rates combined with a committed friendly service. All of our engineers were trained and previously employed by British Gas. All engineers are "Gas safe" and are fully qualified in all aspects of domestic gas installations. From standard boiler breakdowns to Full central heating installations, one off and annual appliance servicing/maintenance checks, system updates, energy saving remedial works, boiler replacements and Landlord certification on rented properties we cater for you every gas need. Our customer care is second to none and we pride ourselves on top quality, fully guaranteed workmanship. 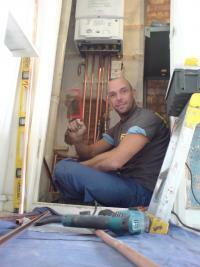 Call "Gem Heating Services" and let all your gas/heating/tradesman worries be a distant memory! Gem heating is Gem; Good work, after every day work left the house tidy and clean. 4 weeks after the installation I am writing this review, I have no regrets about the work. Every day we are using the heating working fine. Only regret in my part, I should have asked them to place the radiators in different place in living room and toilet, not get warm up sooner. Absolutely amazing service from quote to completion. Was given great advice and options and the quote was very competitive. The guys were very hard working and professional and did a great job. I would highly recommend them to anyone and I'm personally pleased that I've found a company that I can trust. Great company - really easy to work with, providing good honest advice and a sensible quote. Work was carried out to a very high standard. All round very happy - will be using this company again if I ever need to buy another boiler! They listened to what I wanted and quoted for it, made good suggestions, some of which I took up. Kept to me up to date with the progress and problems encountered, explaining what they were and why they occur. very pleaseant to ahve around the house, my wife was very comfortable with them. We liked the way they also used an apprentice. will recommend them anytime.